Since it's cold outside, and I'm in a warm and cozy mood, I'm in a warm sweaters (specifically with elbow patches) kind of mood. 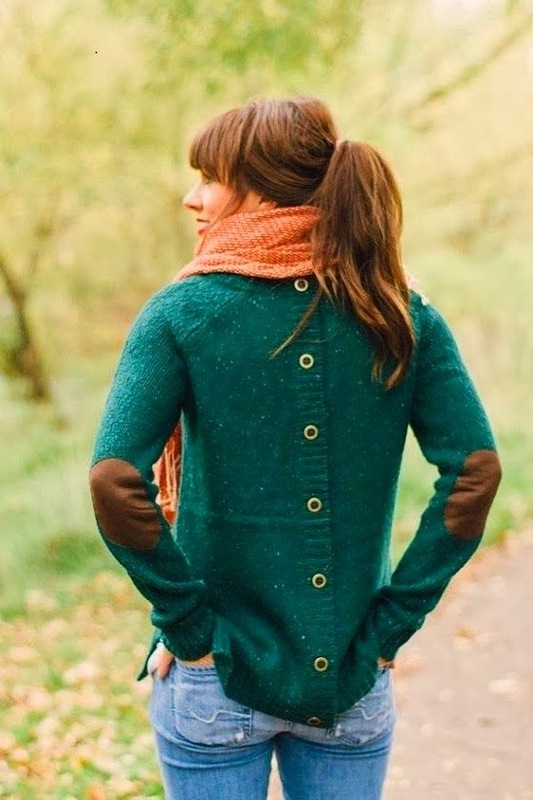 I don't really understand the point of elbow patches, but I think they're darling, and I'm a total sucker for subtle embellishments, necessary or not. 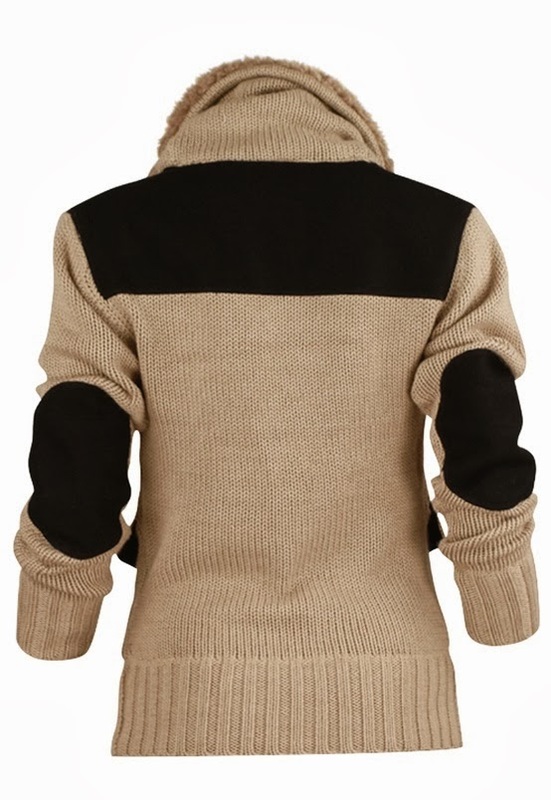 Love the buttons up the back. Such a cute detail! Has anyone ever tried adding their own elbow patches to a shirt? I haven't, and I'm terribly afraid because my sewing projects really never seem to work out (I'm working on it) and I would hate to ruin a good sweater. I love this pattern mixing. 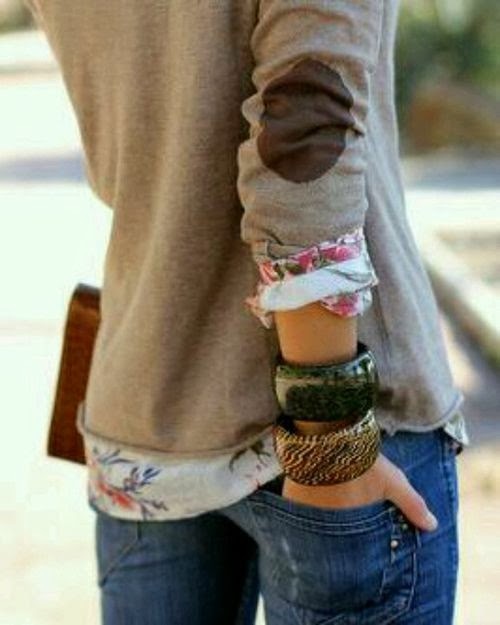 I like to dress really feminine, and the floral print is so cute with this neutral sweater! Color blocking. Or neutral blocking. Regardless, it's classy. Do you find that your taste in clothes changes day to day depending on your mood/the weather? Because I do. Right now I'm working on shopping my closet, and it's actually been pretty fun! I'll keep you posted with what I come up with. 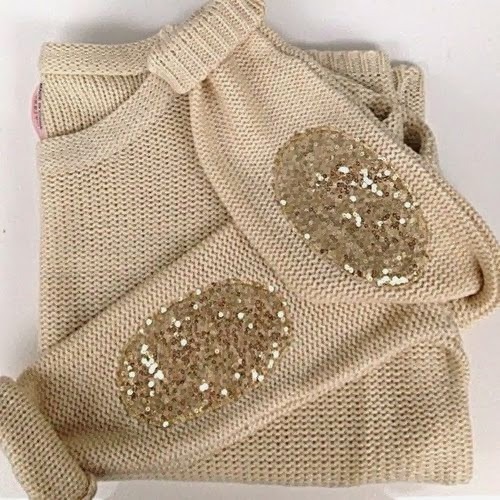 These sweaters are amazing and look comfy too! I love the button details on the first one as well. And, the neutral blocking on the last one... beautiful! I definitely find that my taste in clothing depends on my mood and weather!